Lions Members in Australia often ask why we remain a “best kept secret”? One of the great virtues of so many of our members is that they are the true “quiet achievers”. Lions are very happy to work in the background, solving problem, carrying out great community service and helping the most needy in the community. Of course, if we don’t tell anyone about our Association, we won’t get to reach out to those many special Australians, who aren’t yet working with us. Lions has produced some very special promotional materials to help clubs and Lions promote our Association, and here is a summary, with some hints on how to use them. We also maintain a special Blog for when emergencies happen – http://ozziealert.wordpress.com and for information for our international convention delegates at http://ozzielions.wordpress.com. But if you can find our main blog – it carries links to important Lions information. 3. Our Facebook Page – Our Facebook page is an informal place to share stories and quickly respond to the burning issues of the day. Make sure young people joining your club, and those not so young, click on the “Like” button to join. It’s a great way to find links to other clubs with an ‘digital’ presence, and find out lots about the current issues in our clubs. If your club is new to Facebook, and is interested in establishing a Facebook presence, you can find a great manual prepared by Australian Lion, Peter Hodgson right here. 4. Listen to the story– Lions Australia has produced four radio advertisements, each telling a different story about what it means to be a Lion. You can listen to them here or receive a copy from the Lions National Office. Maybe you can approach your local radio station to play the advertisement and tell your community about Lions. Listen here to our radio ads! 5. 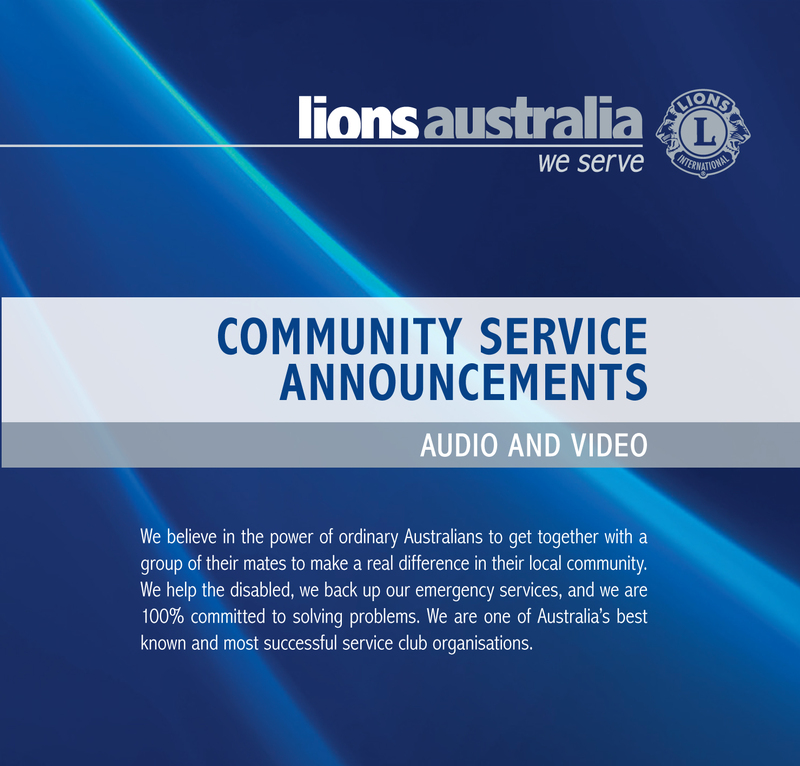 Watch and listen – When you are recruiting, be sure to play “Who is Lions Australia”. Available on disk from the National office, this 6-minute video shows real Lions, telling real stories about their work. Other than sharing your own clubs experiences, there is no better way to let your prospective members know why we belong. 6. Twitter – If you are a tweeter, follow our National office “tweets” at www.twitter.com/RobatLions If this means nothing to you, you are not alone! Twitter is a free and simple way of sending messages using the internet. Many media outlets use “Twitter” as a way to find out about stories, and get feedback on current issues. Its a great way for younger members of your club to contribute to profile building. 8. Looking for a simple, “How to” manual for your clubs promotional needs? 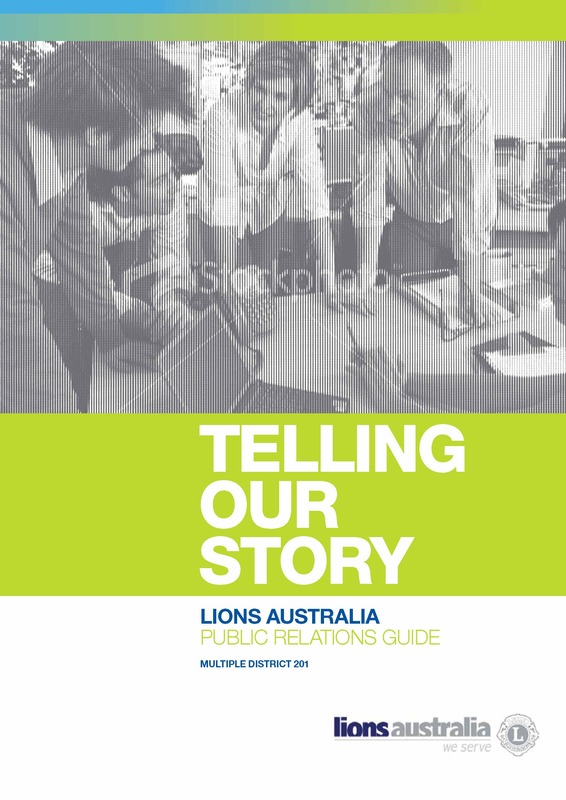 Lions Australia has published an Australian public relations manual to let you know how. It’s written by a professional PR company, just for us, and no prior experience needed! Available from our Lions Club Supplies shop. Lets become Australia’s worst kept secret!! !